We are pleased to announce the first exhibition of Rojava Film Commune in Greece, a collective of filmmakers founded in 2015 and based in the autonomous region of Rojava, which means “West” and refers to the Western part of Kurdistan (present-day Northern Syria). The show is the second chapter of the exhibition chapter “Department of Justice” running from May 2018 until May 2020, and supported by the Foundation for Arts Initiatives. The Commune tasks itself to represent the values and ideals of the Rojava Revolution, but also to mediate and depict the daily struggles in the Syrian civil war and Rojava’s collective attempt to build a new society. 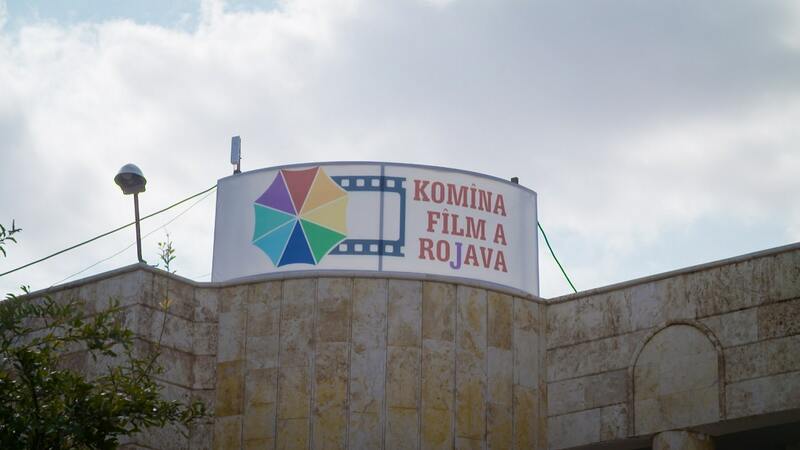 Rojava Film Commune stimulates local film culture by producing new films, educating a new generation of filmmakers, and organising film screenings and discussions about the role of film within contemporary society. Following the 1960 fire in Rojava’s only cinema in Amûde, which saw the deaths of 298 children, the Commune aims to reclaim cinema and film as a central space through which we can reimagine society. As a commemorative act of this tragic event, since 2016 the 13th of November - the day of fire - is the opening day of Film Festival organised by the Commune. This year’s third edition was held recently in the city of Kobane and was devoted to the themes of resistance, women and cultural sovereignty. Learning the process and unique values of the Rojava Revolution is crucial to understand the conditions of the collective’s work. The grassroots, stateless democracy is based on women's’ rights, ecology and equality in all spheres of life. This political project has challenged the patriarchal system, empowered ethnic and religious minorities and inspired the opening of local democratic spaces. All decisions on social issues, from infrastructure and energy to education and domestic violence are discussed through public meetings where collective decision making is taking place. Despite facing the most ruthless threats, this population is writing a new page of their history. After presenting their work in various film festivals, “Forms of Freedom”, is Rojava Film Commune’s first solo exhibition in a contemporary art institution, consisting of a selection of works from the vast archive of collectively produced films. The films presented, arrive after a dialogue between iLiana Fokianaki and the Commune, aiming to highlight the methodologies, thinking process and radical imaginaries of the collective. Sign of the Rojava Film Commune on their former location in Derbisiye, Canton of Cezîre. Filmmaker and teacher Khwshman Qado leads a teaching session at the Rojava film Commune in Derbisiye, Cezîre Canton, in the autonomous region of Rojava, 2015. Photo by Ruben Hamelink. 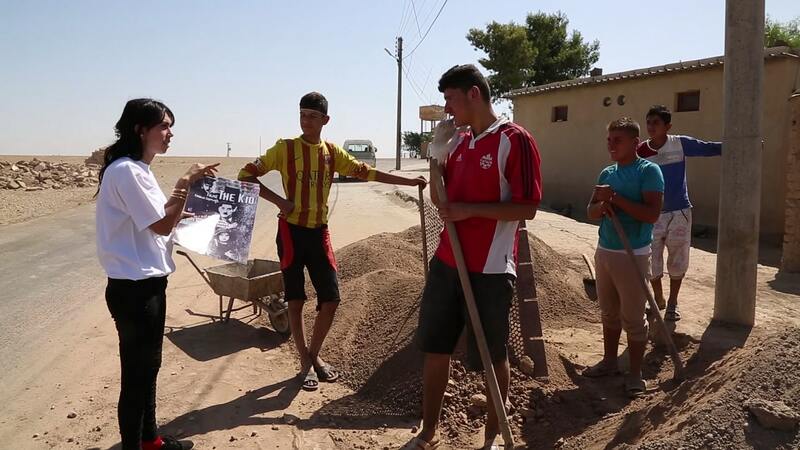 Members of the Rojava Film Commune mobilize workers in the city of Amude, Cezîre Canton, in the autonomous region of Rojava, to attend the screening of the 1921 film The Kid by and with Charlie Chaplin, 2015. Photo by Rojava Film Commune.